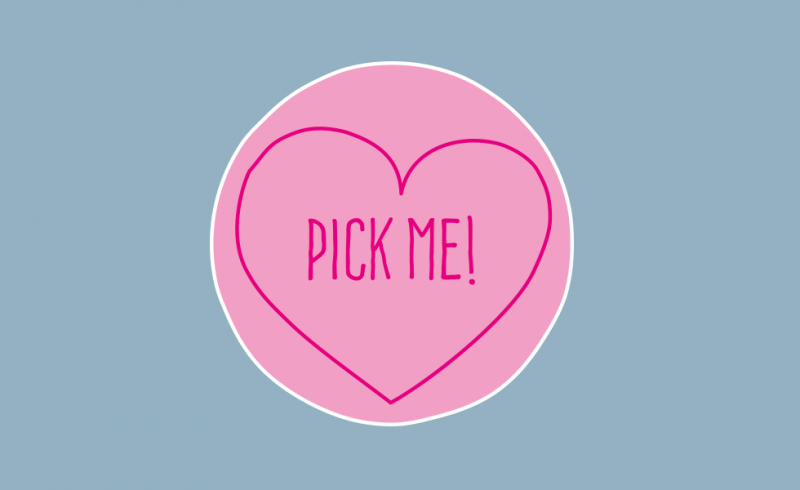 Pick Me! is most definitely feeling the love at the moment. I’ve had some really varied and interesting graphic design and illustration enquires this month, including seven logo design enquiries in the space of 72 hours – which I think is a bit of a record! No doubt with the new season approaching, people are thinking of new beginnings and feeling like they need to refresh their branding. Perhaps even more excitingly setting up a brand new business and are looking for assistance with their marketing and promotion. I have to say, I thoroughly enjoy logo design, as it’s always fun trying to find creative and unique ways of expressing a client’s services and personality through a logo. I have quite a selection growing in my portfolio now! I certainly feel a client shouldn’t underestimate the importance of a logo and it’s power to grab a customer’s attention. With good branding, your customers will easily recognise your company, and will want to buy your products or use your services again and again. If you are considering a new logo or rebranding your business, then don’t hesitate to get in touch for a free quote and pick me!